Wow! I guess I took a little hiatus! LOL! We had family vacations, illness and of course Spring Quilt Market- but I am back now and hope the coming months are going to have lots to blog about! 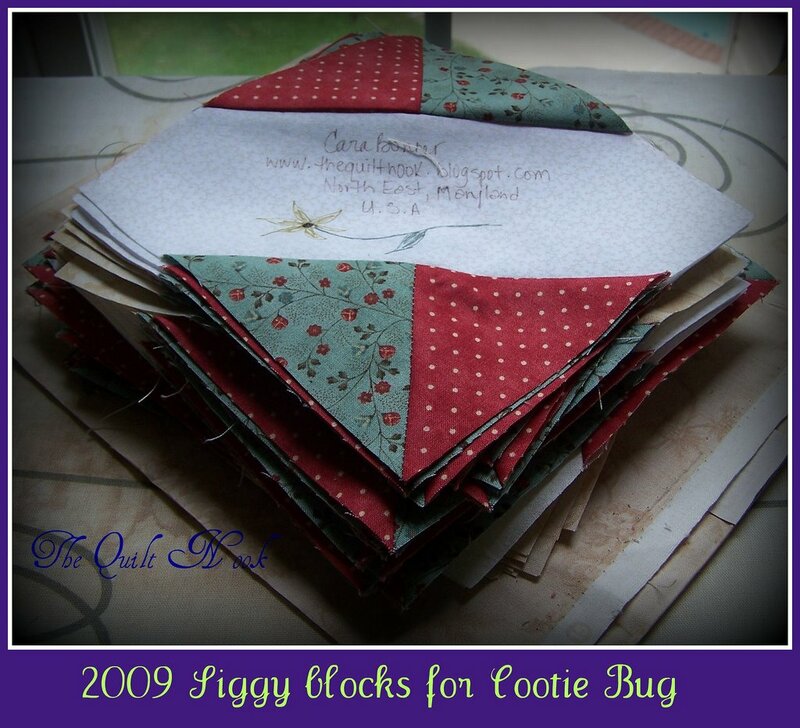 First, I am late in posting this, but I wanted to share the Siggy blocks that I sent of to Connie of Cootie Bug a few weeks back. I was in group 1 so I had to make 60 of these! Whew! Can’t wait now to get the blocks back and make my quilt! I know customs has given Connie some grief with receiving some blocks and I hope that she has now received them all! 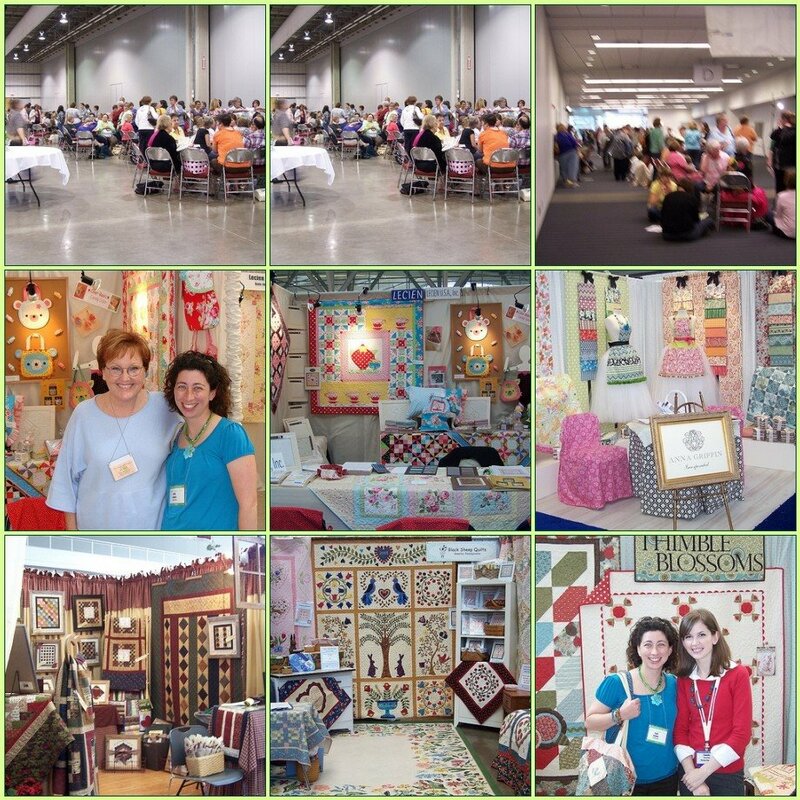 In other news, last weekend was the Spring Quilt Market in Pittsburgh. My DH and I went fro a couple of days and made it back in time for our daughters ballet recital. It was a whirlwind but an amazing couple of days! Here is a sample of what we experienced…. We made it to sample spree (which is the lines of ladies from the top) and of course on the opening of the actual market we got to meet a plethora of quilty celebs! I will leave that for another post though and give some better pics! Lets just say that there is a lot of great things happening this summer in the industry! Well, off to put supper on the table and get little ones to bed…my 5 year old graduates from pre kindergarten tomorrow- eeek! She is growing up too fast! I cannot believe she is entering kindergarten in the fall!… Well, more later! This entry was posted in Quilt Market, swap. Bookmark the permalink. How funny, i was just thinking about you and was going to email you to see how you were doing! Sounds like you have been busy! My oldest “graduates” from 8th grade this year! Pre-K…those were the days! I love your blocks. I am new to quilting and I really enjoy bloghopping and seeing what others are doing. Congratulations to your little one!! Kindergarden is so so so much fun. I know she will enjoy!! !